The Government has estimated that more than 2.5 million UK households could be eligible for a free replacement boiler as part of the Energy Company Obligation’s Affordable Warmth Scheme to tackle fuel poverty and lower energy bills. Could you be one of them asks the latest Boiler Grants press release. According to provisional Government figures under the Energy Company Obligation, ECO for short, 81,798 energy efficient measures have been carried out, which includes the installation of new condensing boilers. The scheme, funded by the country’s energy companies, has been introduced to help householders become more energy efficient to lower their central heating costs. A quick visit to the Boiler Grants website will determine if you are eligible for a new boiler through the scheme. After answering a few simple questions we’ll tell you instantly if your application is successful. As long as you own your own home (or are renting privately) and meet the eligibility criteria – namely be in receipt of specific qualifying benefits including Pension Credit, Child Tax Credit and various income-related benefits – you should qualify. Despite a slight drop in the Department of Energy and Climate Change’s annual fuel poverty figures – 2011 saw fuel poor households in England reach 3.2 million – fuel poverty remains a worrying issue for many families. David Holmes, founder of Boiler Grants said: “Energy efficient boilers are a great weapon in the fight against fuel poverty. 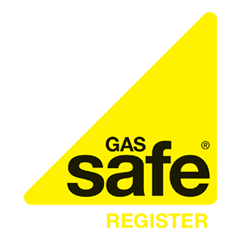 By installing a free A-rated replacement boiler from a Gas Safe Registered Boiler Grants installer you home will be warmer and healthier and more energy efficient. If more than 10% of your household income goes towards paying your energy bills then you fall into the fuel poor category. As Government statistics have revealed, the most successful way to tackle fuel poverty is to encourage householders to become more energy efficient. Which is why schemes like the ECO, to help vulnerable households on low incomes and benefits, are a godsend. Particularly when a new boiler can typically cost around £2,300 – money that many cash strapped families struggling to meet the demands of ever increasing energy bills simply do not have. It’s quick and easy to apply for a free boiler grant. Simply visit Boiler Grants and apply online by answering a few questions. If you’re eligible, a member of our friendly customer service team will give you a call to process your application.